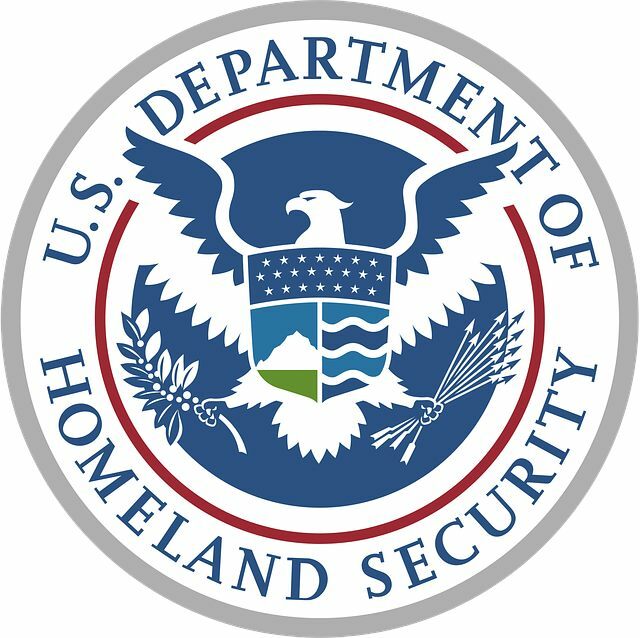 Created in 2002, the United States Department of Homeland Security is the department of the federal government tasked with providing public security, battling terrorism, and dealing with cybersecurity, among other tasks. Homeland Security was created in response to the events of September 11, 2001, and a number of existing agencies that dealt with security and terrorism were folded into the department. While most people are familiar with Homeland Security's charge of battling terrorism, the department does much more. It also deals with handling domestic emergencies and natural disasters such as hurricanes and earthquakes. They also deal with any type of terrorism, including man-made events such as the Boston Marathon bombing. While some of these cases fall solely within the purview of Homeland Security, others, such as responding to national disasters, have the department working along with the National Guard and other agencies. Homeland Security is broken down into a number of agencies, each of which has a particular charge. These include border protection, customs enforcement, transportation security, the coast guard, the secret service, and FEMA. Official website – the official site of the Department of Homeland Security. Wikipedia – the Wiki for Homeland Security. USA.gov – provides a short description of the department plus agency details. Homeland Security – the White House website provides the principles and other details about the department. Homeland Security Educational Programs – the educational programs and research initiatives the department backs. History of Homeland Security – a look at how the department was created. The Senate Committee on Homeland Security – the committee that oversees the department. Background and Challenges – a look at the department from the National Academies Press. Through FEMA (the Federal Emergency Management Agency), the Department of Homeland Security is responsible for responding to natural disasters such as hurricanes, earthquakes, floods, and forest fires. FEMA actually pre-dates Homeland Security, being established in 1979. The agency coordinates emergency personnel when local or even state authorities are overwhelmed and in need of assistance. However, the governor of the state must first request FEMA aid. FEMA has assisted with disasters such as Hurricane Katrina and the California wildfires. Disaster Assistance – the official US website for getting help during a natural disaster. 10 Worst U.S. Natural Disasters – FEMA and Homeland Security assisted with recovery from many of them. Recent Natural Disasters – Disaster Report features a list of the most recent disasters. Weather Fatalities and Disasters – information from the National Weather Service. Natural Geological Hazards – information from the U.S. Geological Survey. Data.gov Disasters – the official government database for disaster information. U.S. Disaster & Risk Profile – information and statistics from PreventionWeb. While we rely on Homeland Security agencies to protect us from threats at a National level, we rely on local and state level law enforcement for protection from more mundane threats on a daily basis. The first line of defense, however are primary preventative measures for preservation of personal security. Below is a list of resources for personal security that can serve as deterrents and provide evidence for prosecution. Security Cameras - video surveillance equipment for home and business with motion activated alerts. Digital Video Recorders - security footage video recorders of various kinds with latest hacking resistant software to protect against web based intrusion. Security Camera Systems - complete security systems with remote viewing access and email alert notification. IP cameras - the highest resolution surveillance technology available which can be tied in to computer networks for securing towns and cities. Domestic terrorism includes any violent act that occurs within a country by citizens of that country. Examples of domestic terrorism in the U.S. include the Boston Marathon bombing and the Oklahoma City federal bombing. These events are often done to create fear and to promote a specific religious, ideological, or political agenda. They are not influenced or supported by foreign organizations. Domestic Terrorism – Wikipedia's article with many examples. Reports and Essays – writing about domestic terrorism. The Patriot Act and Domestic Terrorism – how the act redefined what we consider domestic terrorism. Terrorist Attacks and Related Incidents – a list of events in the U.S. Terrorist Plots Since 9/11 – includes a number of domestic terrorism incidents. A History of Terrorism on U.S. Soil – domestic terrorism isn't new. Types of Terrorism – the Crime Museum examines different types of terrorism, including domestic terrorism. Man-made events include those events that occur due to something done by individuals or organizations that were not based on terrorism. Examples of man-made events that Homeland Security may investigate and handle the recovery for include the crash of a truck carrying hazardous materials or the explosion of a power plant. One recent man-made disaster that Homeland Security investigated was the explosion of the Deepwater Horizon ship and the resulting oil slick in the Gulf of Mexico in April of 2010. 25 Biggest Man Made Disasters – National Security assisted in dealing with many of the U.S. disasters on this list. Definition of Hazard – the Red Cross defines what a man-made hazard or disaster is. Impact of Technological Disasters – the definition and impact of these disasters. Technological Disasters throughout History – the MIT review looks at some of these disasters. Man-made and Technological Hazards – FEMA's definition and outline for dealing with these emergencies. Deepwater Horizon Oil Spill – The National Oceanic and Atmospheric Administration takes a closer look at this man-made disaster. Gulf Oil Spill – another report on the Deepwater Horizon disaster. The I-35W Bridge Collapse – a look at the disastrous bridge collapse from 2007.